Midweek private sessions with bespoke timings for you and your work colleagues! Are you looking to motivate or reward your staff? Or build teamwork and communication within your department or organisation? Then you have come to the right place! 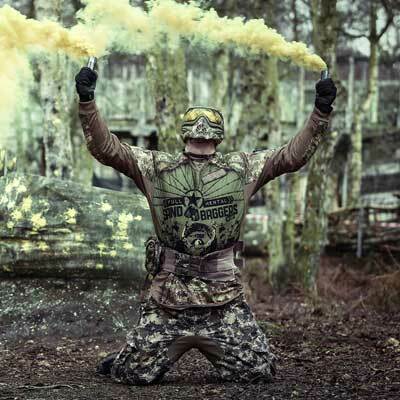 Conveniently located for London and run by the former UK’s #1 Paintball player, GO Paintball London pride ourselves on running the finest private Paintballing events for our corporate clients; professionally catering for private groups of 4–140 players per day. Fully inclusive. No minimum number of players. 400 paintballs each minimum. Fewer players = more ammo for each player! Full use of our forest venue and game maps for your event! Full day/half day or even a few hours to suit your needs perfectly. Professional level Assault Rifles and Sniper Rifles are available. Organisers receive an Assault Rifle free of charge! 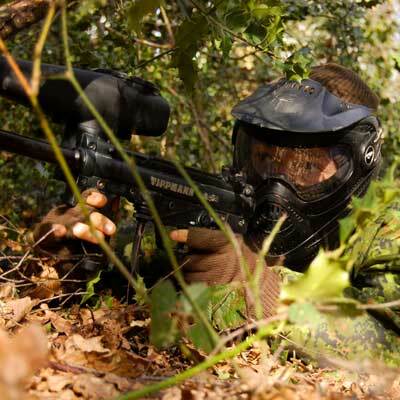 The best standard issue rifles, ‘Anti Fog’ goggle systems and camo overalls. Body armour available for free for extra confidence and comfort. The best, professionally trained staff to host your private event to the highest standard. 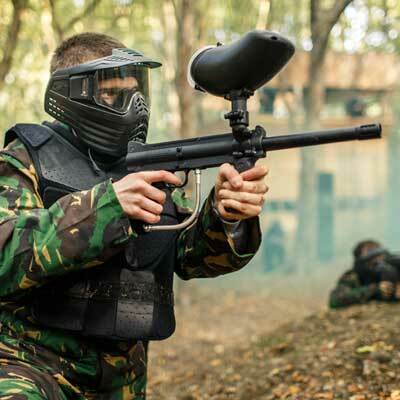 Paintball has and always will be one of the most accommodating and exciting ways for a company to unwind together and to build teamwork at the same time. 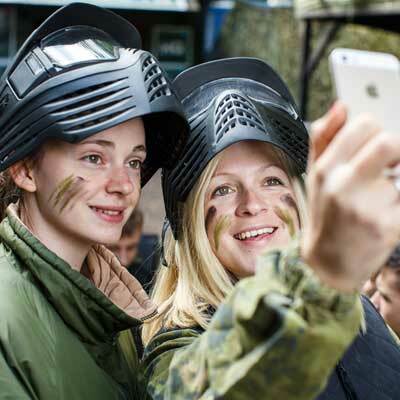 Away from the confines of corporate structure and through set paintball scenarios, your team will learn to work together and build communication and confidence in one another by encountering and completing challenges together – all whilst having a blast playing Paintball together at our scenic forest venue! For midweek events, we open up our venue specifically for each corporate group, providing private events only (so you would only ever be playing with your own group, not mixed in with other groups) with the best, dedicated staff to chaperone your group and run your event throughout. All the best rental equipment is provided as standard, as well as a 9" Pizza Hut pizza lunch for each player. 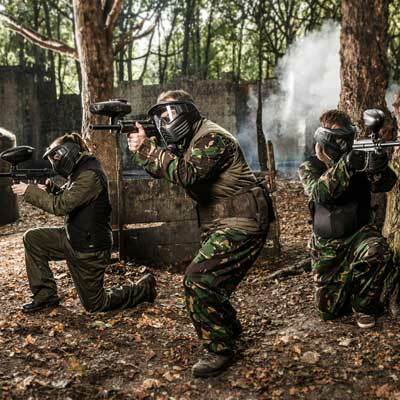 Timings are completely flexible to suit your needs and our corporate midweek package also includes 8,000 paintballs as a minimum, giving every player a good amount of ammo to get fully involved! Upgraded ammo packages are also available during booking so please inquire for details and we can tailor a package to suit your budgets perfectly. Please use our handy Availability checker (above) to get in touch, or email or call our Events Manager Hannah to book your event, or with any questions or queries you may have. Organized a corporate event for my team (~25 ppl) and we had a great time. Fantastic venue, friendly and very helpful staff really made the difference.